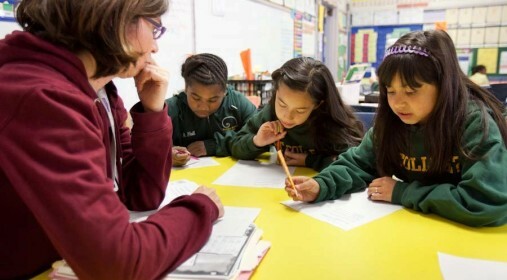 Aspire Public Schools, one of the nation’s top-performing charter management organizations, faced temporary cash flow issues due to payment deferrals by the State of California’s budget struggles. In response, LIIF partnered with NCB Capital Impact to close an $11.1 million purchase of Revenue Anticipation Notes from the Californian School Finance Authority to relieve Aspire’s anticipated cash flow deficits. The funds meant that Aspire could keep the doors open at its 34 schools, which serve over 12,000 students in grades K-12 across California. Aspire’s schools focus on providing exceptional educational opportunities in underserved communities. In both 2010 and 2011, 100% of its graduating seniors were accepted into a four-year college or university.